I have a small laying flock, some Cornish Crosses in the freezer and am beginning to undertake some small chicken breeding projects. My interests lie primarily in producing productive and sustainable (in the sense that I can breed them myself) chickens for the small homestead. To that end, I would like to find a good dual purpose breed (or two) that will grow quickly and lay well; I would like to undertake a breeding program to increase the early growth rate and overall size of one or two breeds to be used for meat. Currently on the radar are New Hampshires and Delawares. 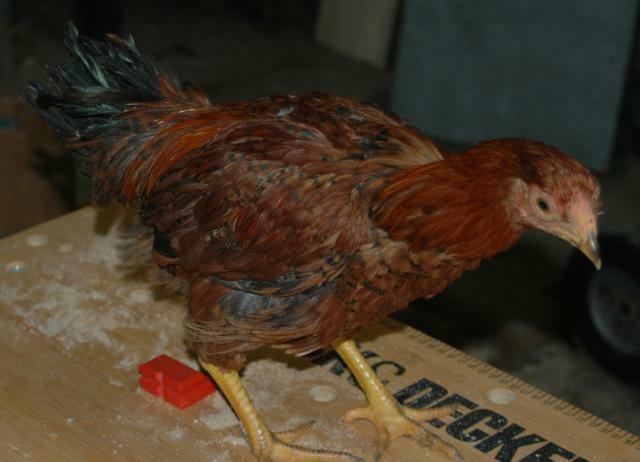 I'd also like to experiment with breeding Colored Ranges (I have a rooster and a few hens that I plan to isolate soon (fall 2010) so this is coming close to reality). I have a pair of Partridge Chanteclers (pictured here at about 12 weeks) that I hope will produce some offspring this summer. 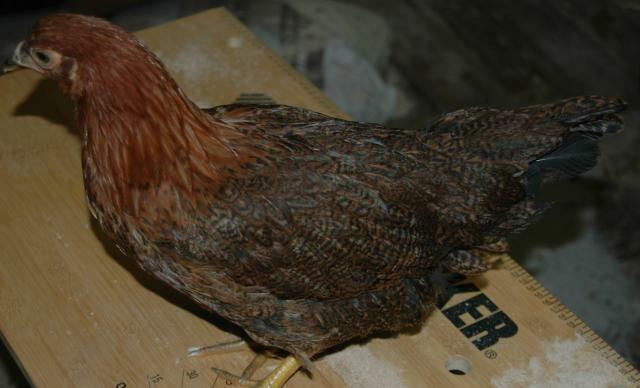 I got interested in Partridge Chanteclers because I like the partridge coloring and thought it might be fun to work with an endangered breed.